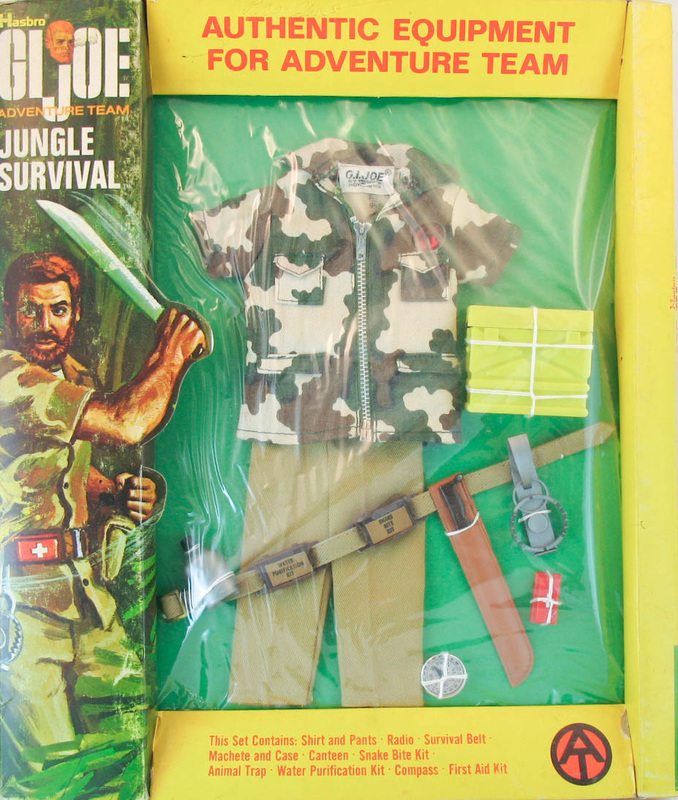 The bold camouflage pattern fabric of Jungle Survival (7373) may have come to Hasbro via Palitoy, their British licensee. The radio is a yellow recast of the earlier one sold with the Green Beret and French Resistance Fighter, while the belt, machete, and belt kits were all repurposed from other Action Soldiers of the World sets. The set's canteen has a belt clip attached to the back. The later version in the spin above has a snap front instead of the zipper found in the earlier version window box below.